Energy costs seem to be getting higher and higher, but simple modifications to your current lifestyle could result in big savings. 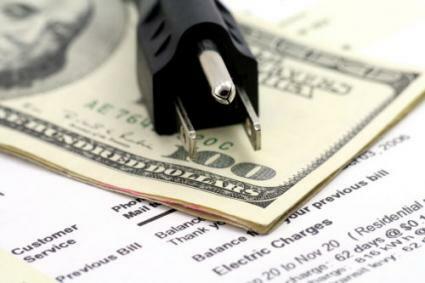 Even if your utility bills don't seem astronomical, you may be surprised how much you can reduce them by making small changes. One of the easiest ways to save money is to simply power off your electronics when you're not using them. Switch off lights when you leave a room, even if you'll be back before too long. Turn computers off after you have finished with them for the day. Put them in sleep mode when you take a break during the day. Only use outdoor lighting when it is necessary for safety. Do not leave lights on during the day. You may not be familiar with what is called "ghost power." This is the energy your electronics drain even when they are turned off. Top culprits of ghost power use are televisions, microwaves, cell phone chargers, computers, and stereo systems. Keep these items plugged in and it means you lose energy even when they are not "on." It takes some power to keep them on standby, such as to keep the clocks working. According to the Energy Information Administration, ghost power costs American consumers over $3 billion a year. Either unplug these items altogether or plug them into a power strip and turn the power strip off. It will have the same effect. Buy lower wattage light bulbs -- A 100 watt light bulb uses 100 watts of electricity per hour. One thousand watts equals one kilowatt, which costs you approximately 8 to 15 cents. Reduce the wattage of the bulb, and you will save money. Other efficient options include compact fluorescent and LEDs, and they tend to last far longer than incandescent bulbs. You don't have to make big changes in order to save energy. Use towels or door jamb covers to keep drafts from coming in the cracks of windows or doors. Keep curtains shut during the hottest part of the day in the summer to keep the sunshine out and during winter days to help keep the heat from drafting out. Turn off or block the heat or central air in rooms that are not in use. Make sure exterior doors and windows are closed when using the heat or air conditioning. Check for cracks in the insulation, in attics, in the basement, and around windows and doors. Caulk these areas or line them with felt stripping. For about the cost of powering an incandescent light bulb for one hour, you can power a ceiling fan for an entire day. Run the blades clockwise during the summer and counterclockwise during the winter. This will keep the cooler or hotter air near the floor, respectively. According to Advanced Energy, using ceiling fans coupled with adjusting the thermostat accordingly will save you about 10% on your energy bill. Lower the winter night heating temperature to 58 degrees or less and raise the summer night cooling temperature to 78 degrees. The Department of Energy puts your savings at 5 to 15% for every 10 degree adjustment, if you change the temperature for eight hours. Programmable thermostats can do this for you. Don't forget to adjust the temperature to a less comfortable one when you leave for work in the morning too. Always replace air filters before you turn on either a central air or heating system each season. Also, regularly check filters and change them when they are dirty. Water heating is another potential energy drain. Turn down the thermostat on the hot water heater, and insulate pipes surrounding it. Many energy experts also recommend wrapping the water heater in a blanket specifically designed as a piece of insulation you can purchase at any home store for under $20 that helps keep the water in the tank warmer longer. Also, remove sediment from the heater every few months. Check the owner's manual with your particular heater for instructions or call a professional. When shopping for new appliances like central air systems, air conditioners, water heaters, windows, and furnaces, compare models and brands to find the most efficient. Look for the Energy Star seal. Products bearing this seal must contribute to energy savings versus traditional products of the same type. If it costs more than the traditional product, consumers must be able to recoup the extra cost during a reasonable time period. According to the Washington Post, replacing a 12 year old dishwasher with a new Energy Star one could cost you 29% less in energy, not to mention significant water savings. While every appliance will have a different efficiency rating, you can be sure that none will cost you more in the long run. The lower cost will continue for years to come, and you may even be able to get a tax break on the purchase price. Pay a visit to the Home Energy Saver website. The simulations from the Department of Energy will determine how you can make your home more energy efficient based on your current use and home configurations. If you have more questions, head to your local home improvement center. Most provide customer service representatives who will be happy to show you ways to cut your energy usage without breaking the bank. The bottom line is, if you don't need it, don't use it. Be careful to only keep appliances powered up if they need to be. Follow these tips for a couple months, and then compare your energy bills. You may be surprised at how much of a difference it can make.